Even in their demise, my zinnias will breathe new life into my flower garden. 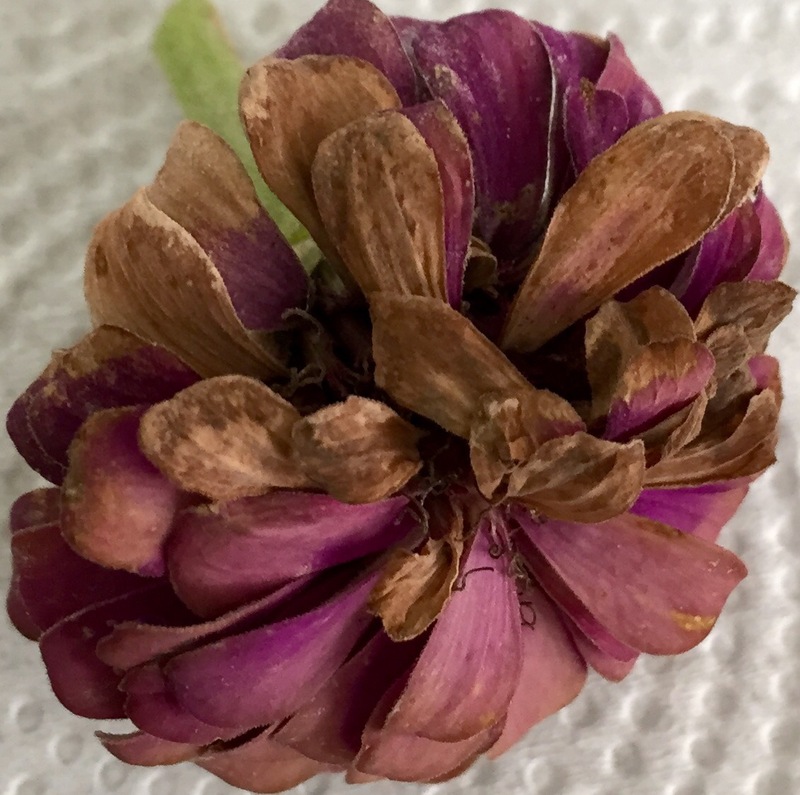 Most of my zinnias still look gorgeous, but when I was snipping off dead cosmos tops, I found this hidden zinnia (above). 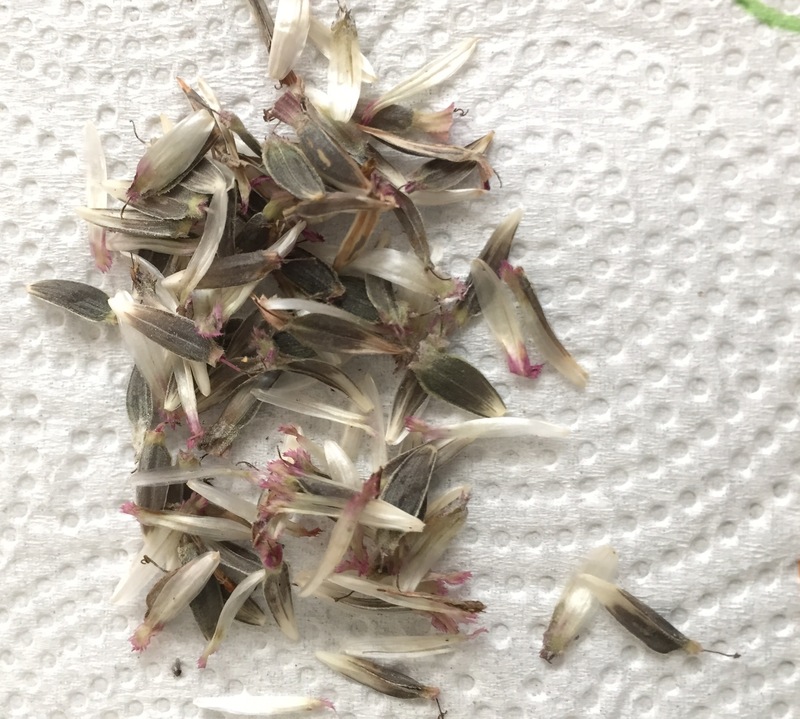 I was pleased to find a number of seeds (below) that I should be able to plant for either a fall crop (if that’s even possible?) or next spring. And there should be so many more seeds when the rest of the zinnias die off. 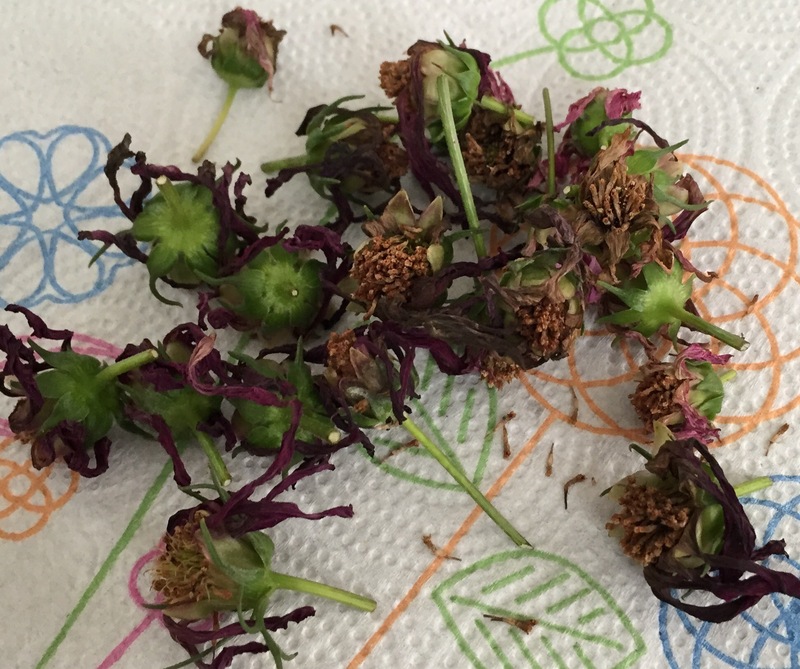 I also saved a lot of dead cosmos tops in hopes of getting seed from them. Even though the tops look dead, the seed was still pretty green. Hopefully, with a little more time, the tops will dry out. This entry was posted in Gardening and tagged cosmos, zinnias on June 13, 2015 by Julie Riebe.